From your Valentine. Did you see a bird or speak or hear a name? 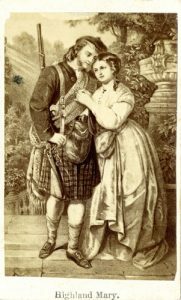 The true origin of Valentine’s Day may always be in question, but most historians seem to agree on the basic elements. 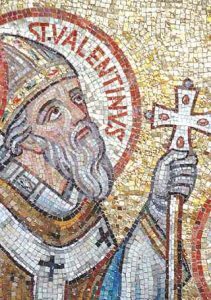 St. Valentine, as he has become known, was a priest in Rome during the times of Emperor Claudius II. Claudius, who was known in his times as “Claudius the Cruel” had decreed that his soldiers were no longer allowed to marry. It was Claudius’s belief that single, men without families were the best soldiers. Valentine found this law absurd and went against the law, marrying couples in secret. This was soon discovered by Claudius II and Valentine was taken to prison and ordered beheaded. It is said that in his final days in prison, Valentine wrote a letter to his jail keepers daughter who had been visiting him during his imprisonment. He signed the letter, “From your Valentine”. This is what is now thought of as the first Valentine card. St. Valentine is said to have died on February 14th and this is why we celebrate the holiday on this day. The Saint Valentine who is celebrated on February 14 remains in the Catholic Church’s official list of saints (the Roman Martyrology), but, in view of the scarcity of information about him, he has been demoted – his commemoration was removed from the General Calendar for universal liturgical veneration, when this was revised in 1969. Many traditions have evolved around St. Valentine’s Day. The first name you hear on Valentines Day? If a woman sees a robyn flying over head on Valentines Day she will marry a sailor. If she sees a sparrow, she will marry a poor man, but will be very happy. If she sees a goldfinch, she will marry a millionaire. • The 1st name you hear or read on Valentine’s Day will be the name of your future mate. A romantic place in Newfoundland? If you are looking for a romantic place to go on this special day you have no shortage of suggested places that cry romantic. There are the sentimental settlements, Heart’s Delight, Heart’s Content, Heart’s Desire and Cupids and we have Valentine Lake nearby to Annieopsquotch Mountains in Central Newfoundland! Whether we chose to believe legends developed around Valentines Day or not most of us are true romantics at heart. This is the day to remember those that you care about!! 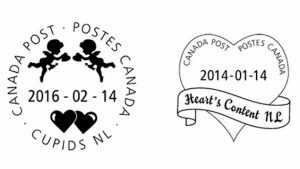 This entry was posted in Archival Moments and tagged Cupids, February 14, Hearts Content, martyrology, Saint, Valentine, Valentine lake on February 13, 2019 by Larry Dohey. On the night of November 29, 1875, the Schooner Waterwitch left St. John’s bound for her home port of Cupids with 25 souls on board. She never made it to Cupids; in the middle of a blinding snowstorm she struck rocks just north of Pouch Cove. The loss of the 12 men and women on that cold November night is commemorated in song and story with much of the credit for the rescue of the survivors, given to Alfred Moores of Pouch Cove. He allowed himself to be lowered to the ship by a rope from an overhanging cliff so that he could carry the people to safety. Also recognized for their role in the daring rescue were David Baldwin, Eli Langmead, William Noseworthy, and Christopher Mundy. The horror of the night is told in the verses of the song the Waterwitch that is still song in Pouch Cove. And brings a woman in his arms in safety to the shore. The town of Cupids went into deep mourning; nine of the dead were from their small place. A year after the tragic event Governor and Lady Glover at Government House, St. John’s presented Alfred Moores with the Silver Medal of the Royal Human Society. The other four were presented with the bronze medal for their heroic effort. The present location of the medals is not known. Recommended Museum: The Pouch Cove Museum located in the Town Hall has a small exhibit commemorating the sinking of the Waterwitch. The Cupids Legacy Centre has a model of the Waterwitch as well as a piece of the original wreck. Recommended Book: The Loss of the Waterwitch & Other Tales by Eldon Drodge, 2010, Breakwater Press. This entry was posted in Archival Moments and tagged Alfred Moores, Cupids, Pouch Cove, Warwerwitch, William Noseworthy on November 28, 2018 by Larry Dohey.